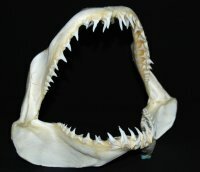 Shortfin Mako Shark Jaw [SJLAM-IO-17] : Fossils Online, Welcome! Nearly perfect dentition. Only a few with minor nicks. Nicely prepared.